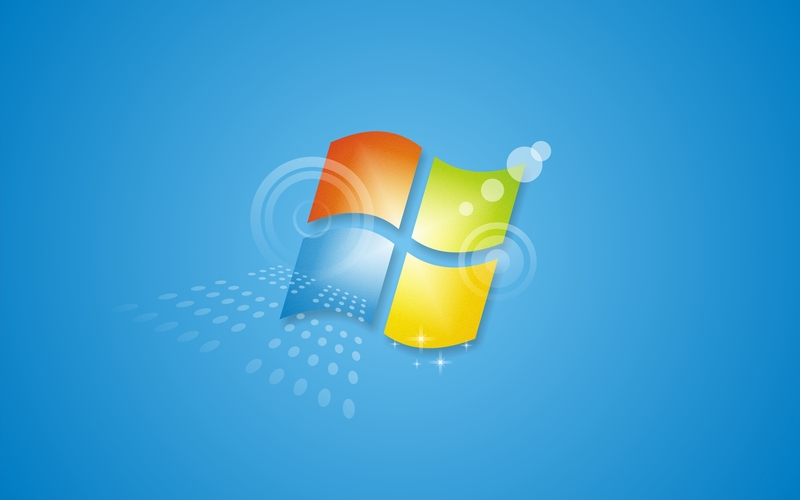 Having been released way back in 2009, Windows 7 exited mainstream support and entered its extended support phase in January 2015, which meant users could still get free critical security patches, bug fixes, and technical support for the next five years. With the extended support period’s end date now on the horizon, it might be time to jump ship and land on Windows 10. Despite being released in middle of 2015, the latest version of the OS only surpassed Windows 7’s popularity last month, according to Net Market Share. That still leaves Win 7 in second place with a near 37 percent share of the market, only 2 percent less than Windows 10, but that gap is expected to increase drastically across 2019. Enterprise users still account for much of Windows 7’s popularity. According to Kollective, 43 percent of businesses still run the near ten-year-old platform. It’s a different story when it comes to gamers, though, with 64 percent of Steam users preferring Windows 10, compared to the 26 percent that use Windows 7. As it has done with previous version of its OS, Microsoft is offering paid support options after January 14 next year, though the format is changing slightly. The extended security updates will be available to all Windows 7 Professional and Windows 7 Enterprise customers with volume licensing through January 2023. The company is charging on a per-device basis, with the price increasing every year. FYI, your old win7 serial key might still work for a win10 install. I built a new PC before Xmas to replace my aging Win7 machine. I tried my old win7 serial key in the win10 installer and it worked right off the bat. Of course, mileage my vary. "Despite being released in middle of 2015, the latest version of the OS only surpassed Windows 7’s popularity last month, according to Net Market Share." If MS had released a W10 Ultimate consumer edition of Enterprise LTSB (ie, Cortana-free, bloat-free, spyware-free, can disable telemetry, advert free, MS store free, no forced bi-annual "feature" updates and pre-bundled it with Classic Start Menu as a Prosumer version), I dare say W10 would have gained 100% market share by 2016 amongst the sizeable demographic who are using W7. That they're still trying to push an all singing, all dancing consumption centric OS and Microsoft Play Store for PC onto the half of the population that neither wants that nor sees their production centric PC's as mere 27" mobile phones (let alone their data as someone else's property), then simultaneously complain over W10 being the slowest OS upgrade ever recorded even with all the forced upgrade coercion, speaks for itself as to how out of touch and complacent they've become over the years. DaveBG, Danny101, Knot Schure and 8 others like this. No thanks, actually reverted back to W7 Pro from W10 pro; too much forced bs in 10. Misagt, DaveBG, Knot Schure and 3 others like this. Ah, I always love Win 7/10 threads.... Windows 7 is dead... just face it... as the years go by, new software will drop support for Win 7, and you'll find yourself forced to upgrade. Enjoy living in the wild wild west once End Of Life comes. Honestly, the pros of Windows 10 easily out weigh the minor "annoyances" of Windows 10. Reehahs and Squid Surprise like this. Aye, I held onto win7 for as long as I could but hardware support is starting to skip it. My Ryzen2 ASUS board doesn't even have win7 drivers. As much as I dislike the prospect of Win10 sometimes you have to accept it. Thankfully it's a dedicated machine, not my personal PC, so I can live with it. Otherwise I'd go with Linux or OSX. 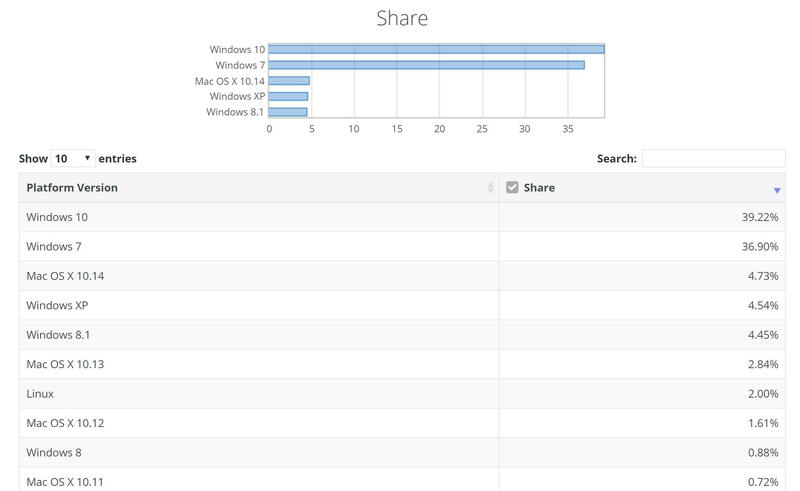 Windows 7 enduring popularity despite 3 newer OS should tell Microsoft something. Think of what followed, Windows 8, 8.1, skipping 9 to get away from the stench of Win 8/8.1 and still MS hasn't learned. Ads, Candy Crush Saga, some of the OS has the new fluent design, big parts don't, some items have both. If I was in IT I think I would die if the boss came in and said "we're migrating to Windows 10", the unstable updates, twice yearly OS installs...trying to set up a base image to push, but whoa, MS has changed it again. IAMTHESTIG and BSim500 like this. If only Microsoft would stop breaking Windows 10 with their updates. Every couple of weeks my machine breaks something. I still can't get my calculator working. Absolutely, their BS pissed a lot of people off who may have otherwise embraced the upgrade. It certainly angered a lot of business customers. Though being an administrator responsible for packaging Windows 10 images and maintaining group policy I must mention that the enterprise versions of Windows 10 most certainly are NOT bloat free. They do have less bloat than consumer versions but it still came with Cortana on by default (which BTW is the opposite of what M$FT claims) and has some bloat crap that you CANNOT get rid of with group policy. W10 has been the most UNFRIENDLY OS for system admins just trying to create a clean and simple user experience for their business users. M$FT is LUCKY that no big names in the computer world have created a solid alternative to their Active Directory and group policy that affords a lot of businesses (what used to be) great control over their computers. Otherwise, a bunch of them would have jumped ship and dumped M$FT in the toilet for their underhanded and unethical tactics. Danny101 and BSim500 like this. No, they don't. Not for everyone... Not everyone uses computers the same way you do. loki1944, senketsu, DaveBG and 1 other person like this. I can tell you have no clue just how intrusive Win 10 is , if you think you can turn off the mind boggling amount of spying think again . Win 10 has more backdoors than you could imagine . Thats not to mention the horrific interface and overall lack of end user control . lazer, DaveBG and loki1944 like this. Can't say it better than that , well done my friend . loki1944, DaveBG and BSim500 like this. I have tried Win 10 every 8 months since it was released to see if it got any better , unfortunately it's become even worse . It's not even an option these days for many people , it's a God awful operating system. lazer and loki1944 like this. loki1944, lazer and DaveBG like this. As far as I can tell, it has less "pro" and is far too overtly controlling. In terms of gaming, DX 12 is a dumpster fire as far as performance. I think Forbes actually said it best, "At its heart Windows 10 suffers from a fundamental lack of user control. It executes Microsoft’s belief that an up-to-date operating system is more important than a user’s right to control what their PC installs." I'm completely aware of what Windows 10 does, but thanks for pretending you're part of some elite group that has special information on the matter lol. I use four older laptops as my primary systems, two precision workstations from 2008, a studio XPS from 2009 and a XPS from 2011. I have one running windows 10 pro since launch, it was down for the last 8 months and now I am back to use it as my secondary PC daily. There are features I missed from windows 10 over the last few months, but for the most part I still prefer windows 7. My main rig can run windows 10 (there is a digital license available) the studio XPS can only run windows 7 or Vista or I lose a good chunk of GPU performance so it's staying on windows 7 for the foreseeable future, but I just use it for basic stuff and local video playback. The other precision is running windows 7 pro, but I have a second HDD for it and I am testing different Linux distros for a future migration over to the platform for my usages. Windows 10 is a media OS. Linux is your best bet for everything else. The learning curve for Linux is steep, though. Before going with Linux, make sure you choose good compatible hardware or you will have a bad time. Search for LTSB editions if you don't want to constantly have to upgrade. What??? So you suggest that we all install the spyware infested software because it is newer yet it lacks features that people use in Windows 7? Is this some kind of lame ad? Windows 10 is downgrade to windows 7... everyone knows that. loki1944 and lazer like this. Yes, there's traffic "going out" on your firewall - every modern OS does the same (iOS, Android for the most obvious). You can configure Windows 10 to stop most of the "spying", and you can Google how to pretty much eliminate it with minimal fuss (Techspot actually had an article last year telling you how). Before you are so quick to slander "everyone", maybe do some research? I like win7, hated win8 and won't try win10. I shut off my updates since Micro$lop screws up too much for me. my win7 works great with out the lousy updates. next computer I get will have Linux on it. DaveBG and loki1944 like this. 8.1 with Classic Start Menu will be a logical step now for the next 5 years. Let's hope that 10 isn't so broken and terribly snoopy by the time it expires. Millions of people were forced to upgrade via new machines. Millions more were tricked into accepting the "free offer"..Millions more, such as yourself, are living in a fantasy where M$ is still a benevolent "big brother", and Satya Nadelle is a "nice guy". Yes, there's traffic "going out" on your firewall - every modern OS does the same (iOS, Android for the most obvious). Comparing "apples to oranges", is a convenience of the foolhardy. Uses have no choice but to accept iOS. While Android is offered "free" from the biggest spy agency in the world, Google. Android doesn't do anything without apps, and is unusable without installing an app for every operation that the user would have the device perform. It's also useless without an internet connection, as is Google's "Chrome" OS. So, the best thing you can say for Windows 10, is that it can still be run, "air gapped". But that could also be said of Windows 98. You can configure Windows 10 to stop most of the "spying", and you can Google how to pretty much eliminate it with minimal fuss (Techspot actually had an article last year telling you how). Oh, you can "configure it to spy less". You really shouldn't have to, and a only bunch of very pliable, weak, mentalities could possibly accept the forced updates, which in large part, are merely excuses to turn the excess telemetry back on. There's really no excuse for the gullibility of the massive current crop of users of "smart speakers", and, "personal assistants", other than extensive propaganda campaigns by Amazon and Google working their "magic", on the current crop of inbred millennials. You would think a self announced, "power user", would offer a bit more resistance. Apparently, this is far from so. This is in large part due to either conspiracy or brute force being applied to after market manufacturers by M$ itself. After all, the M$ need do is blacklist older hardware and software from being installed on Windows 10,. After which, the only recourse after market firms have is to comply with M$'s wishes. You should probably stay your tongue, and stop passing your opinion off as the only one which matters.